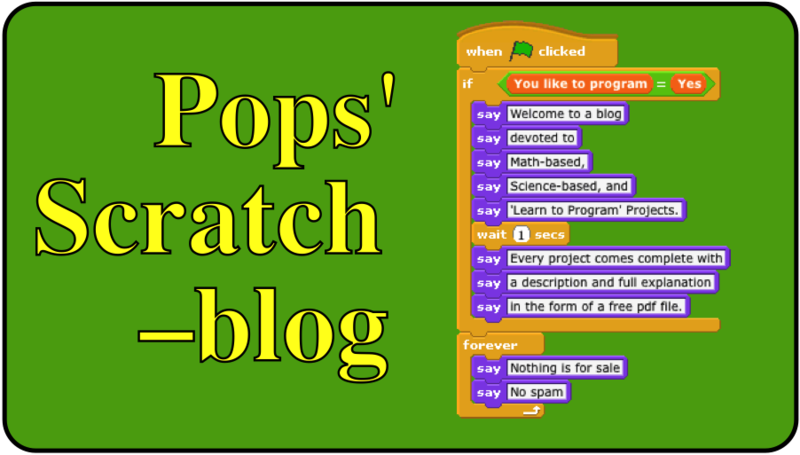 One of the goals of this blog is to provide free pdf files I've written that discuss and explain the mathematics and programming techniques I used in my projects uploaded to Scratch. Three of these files are now available. The links to the Scratch projects uploaded to the Scratch web site are also given.